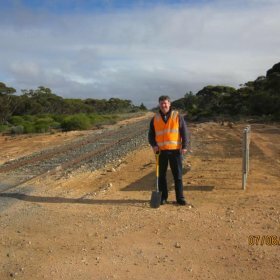 V/Line is responsible for the management of rail infrastructure assets to enable the delivery of Victorian Regional rail services throughout the State. 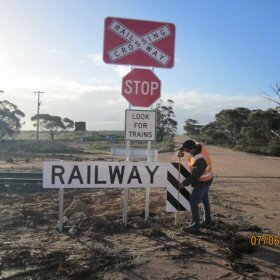 As a result of field surveys carried out in accordance with the Australian Level Crossings Assessment Model, V/Line identified locations where there was insufficient sight distance to meet the requirements of AS 1742.7-2007 Manual of uniform traffic control devices, Part 7: Railway Crossings. Lambert & Rehbein won the contract to provide the project management services to rectify the line of sight restrictions for the first stage of works, passenger lines. We were also contracted to provide the same service for the second stage, freight lines. Stakeholder management of local councils, VicRoads and the Department of Sustainability and Environment to agree the works. 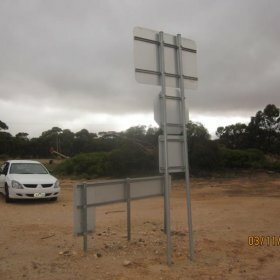 changes to signage and road markings. Inspection and confirmation that works had been satisfactorily completed.